Now, you can store power generated by your home solar power system even when the sun is not shining or the generator is not running, with the help of batteries. This post describes the 4 basic types of batteries which you can choose as your solar system battery bank. The post also contains guides on the care and maintenance of your batteries and on enhancing their performance and life. 1) Marine and golf cart battery. Marine type batteries are suitable only for very small systems like boats and campers. They are not really capable for continuous service with many cycles of charge or discharge for years. Golf cart battery is the very popular battery for small systems. Though they are a bit costlier than the deep cycle recreational batteries, for small systems on budget these are probably the least expensive ones. The following 3 types are heavier industrial grade batteries. They are also considered deep cycles but are usually lead acid types. They have much thicker internal plates capable of withstanding many deep energy cycles. They are designed for alternative energy system such as solar or wind power. These are lead acid batteries with caps to add water. Though many manufacturers are making these batteries for solar energy use, Trojan, Surrette, Deka are probably the most popular ones. They are reasonably priced and very durable. The flooded batteries should not be used indoors as they release gas when charged. In case they are to be installed indoors, a venting system should be used to vent out the explosive gases. These are actually not maintenance free batteries. Unlike flooded batteries these gel batteries have no vents to release gas during charging process. So they can be installed indoors without any venting provision. This is a big advantage as it allows the batteries to maintain a more constant temperature and perform better. 4) Absorbed glass mat (AGM). The absorbed glass mat or commonly known as AGM batteries are the best available for solar power use, in my opinion. A woven glass mat is used between the plates to hold electrolyte. They are leak / spill proof, do not release gas while charging and they have superior performance. They have all the advantages of the sealed gel types but are of higher quality. They maintain voltage better and last longer. The SunXtender series by Concorde Battery is an excellent example of AGM batteries. They are more expensive but you get what you paid for. 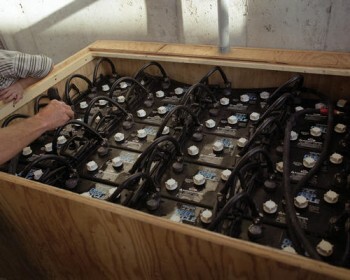 These types of batteries are used in airplanes, hospitals and remote telephone / cell tower installations. As batteries get cool to a low temperature, their voltage drops and their performance suffers. This is one main reason that AGM batteries are preferable as they can be stored indoors where the temperature varies less. Another important thing to consider is how deeply you discharge your batteries or DOD (Depth Of Discharge). In other words how low you let the voltage drop before your next charge cycle. Though most battery ratings talk about 50% or so, they will last longer if you keep them as charged as much as possible. A normal 70% charge range on your battery should be okay. Lead acid batteries will last longer if you do not discharge deeply. This shallow cycling extends their life thus saving you money in the long term. 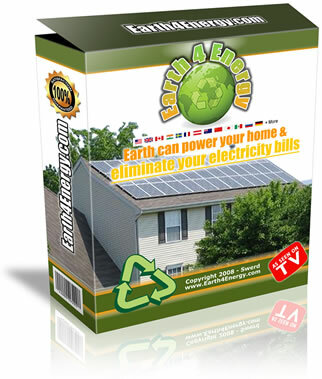 Read some of the Earth4Energy manual reviews and learn what the top selling DIY solar array ebook on the web has to offer. Also, remember to check out the Earth4Energy download page for more information. With the solar panel is just the first step to receive solar power, but making good use of them requires a few battery storage with no doubt.